Begin your journey to a better life with peace, love, beauty, and happiness. All for One provides the opportunity to practice real yoga taught by highly trained teachers in our stunning Yoga centre in Yarraville. Our Yoga Studio is architecturally designed and will leave you feeling relaxed as soon as you walk in the door. 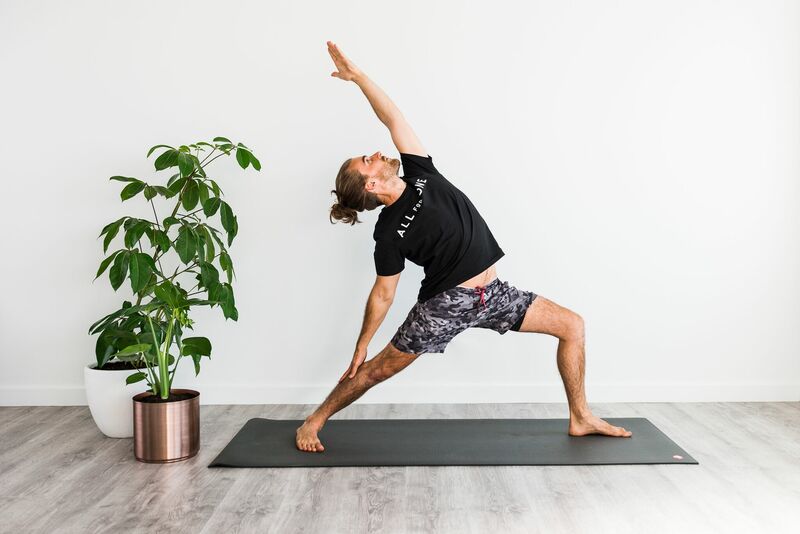 We provide a variety of Yoga classes spanning from a strong Yoga Flow, to a Yoga Slow adopting Hatha, Vinyasa elements while also providing relaxing and restorative Yin classes. Within each class, the arts of breath and body control will be emphasized. You will be welcomed to free use of our Manduka Yoga Mats and lockers to pop your belongings in upon arrival. At All for One we believe in movement as medicine. We appreciate the amazing health and healing benefits that Yoga can provide. Our passionate Yoga teachers work alongside our team of Physiotherapists to design the safest, most beneficial classes for you. We keep our classes to a maximum of 20 so that you can always get the one on one attention and care that you need during classes. You won’t be just another person on the mat at All for One. We offer a range of classes to suit all levels and needs including Yoga for Beginners, Female only yoga classes, Yoga Flow, Yoga Slow and Yin. Even if you have never done Yoga before and consider yourself inflexible, don’t be intimated. We’re here to guide you in a welcoming and supportive atmosphere with modifications if needed. Strength, Confidence and Flexibility will follow in time. The key is to get started and have trust in your inspiring and helpful teachers here. At our Yarraville Yoga Studio we have private parking available in our dedicated car park located directly next to our building so you won’t arrive late and stressed into your Yoga class after looking for a park.